Let the star students show off their great accomplishments! 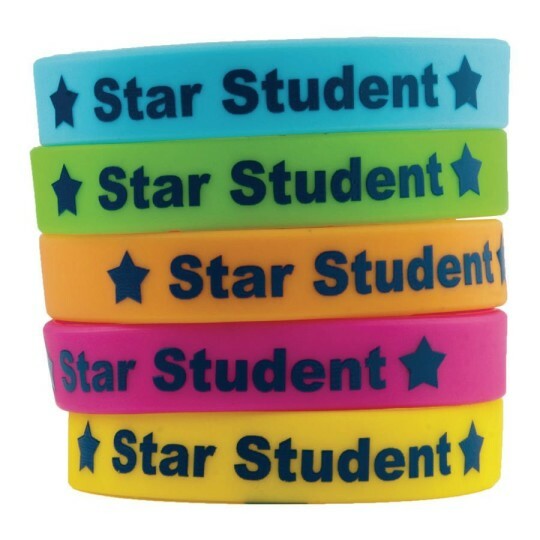 Build awareness for special people or events with these silicone wristbands. 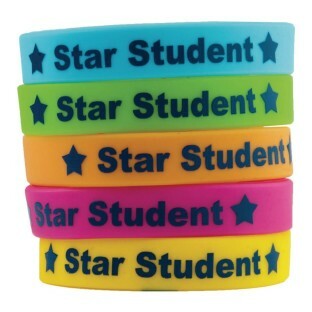 10 wristbands per pack, two each of five different colors. Tested and Compliant with Product Safety Commission Standards.